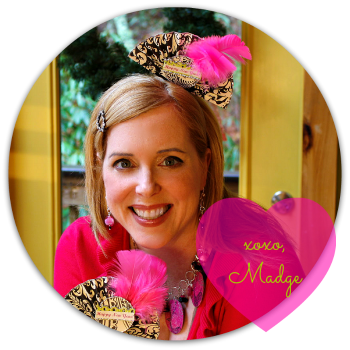 Recently I have noticed a fashion trend toward feathers. They are on clothes, jewelry, they are even glued into people’s hair! 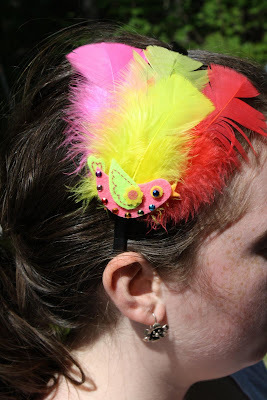 I didn't feel like the little skinny feather in your hair made much of a statement, so I made this week’s project as an over the top salute to the new feather trend. It’s fun, crazy, and creative so I hope you have as much fun making it as you do wearing it! 1. 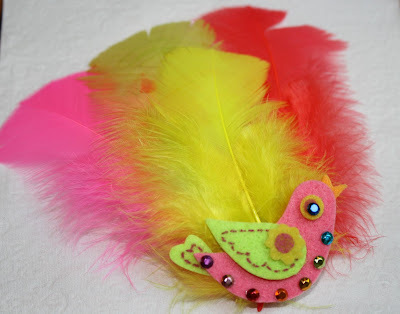 Attach three feathers together by applying Liquid Fusion to the bottom of the feathers. It should be spread slightly so it has almost a fan effect but no gaps between the feathers. Let dry for 2-4 hours. 2. Next take your felt bird and lay out your seven crystals around the tail to the head. It should go in this order: purple, light pink, red, orange, dark yellow, light blue. Then put a dark blue on the eye. Put a dab of Jewel-It on each crystal, apply to the felt bird in pre-determined spot. I used glue since the felt was made of man made fiber. Allow to dry for 10 minutes. 3. 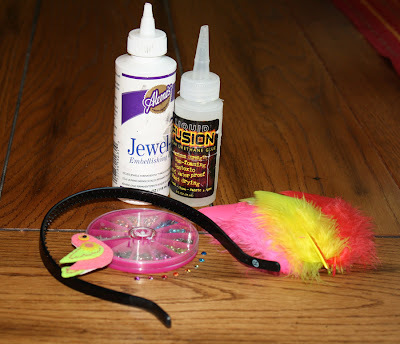 Use the Liquid Fusion to glue you felt bird to the bottom of the feathers and let set for a few minutes before the next step. Now on the back of your feathers apply a line of glue on the middle feather and attach to the side of the headband. Let dry for 2-4 hours. that is so adorable! Great Job Avalon! This is very bright and cute! Where did you purchase the feathers from? 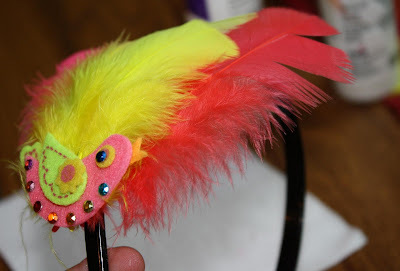 You can find these feathers at any of the big box craft stores. Thanks for your help Margot, but I still wasn't able to find them. Do you happen to have a link to the website? Thanks a lot! I can't really provide links. If you go to Michaels, AC Moore, Hobby Lobby, JoAnn Fabrics or any big craft store, there is an aisle with pom poms, pipe cleaners and feathers, they should be there. Also big craft sites like 'Create for Less' should have them. The manufacturer name is Zucker. Hope that helps. Thank you for your guidance. I was able to find them. Sorry I'm very new with the arts and crafts projects, thanks for your kind help!